Events from the year 1755 in Canada. 1755-75 - William Johnson, British superintendent of Indian affairs in the northern colonies, persuades the Iroquois League to break its neutrality and side with England against France. Monday June 16 - Fort Beausejour, garrisoned by 400 Frenchmen, is surrendered to Col. Winslow, of Massachusetts, commanding 2,300, of whom 300 are regulars. July: Seven British Colonial Governors form a Treaty with the Iroquois, and project a federal union for carrying on war, under a president to be named by the King. 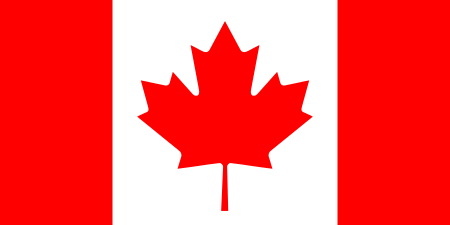 Tuesday July 15 - Announcement, in England, of the capture of French troops on their way to Canada. Monday September 8 - Baron Dieskay, with 1,500 French and Indian troops, overcomes Col. Williams, with 1,400 English and Indians, near Fort George. Immediately afterwards, the French attack Col. Johnson's force, barricaded at Fort George, but are repelled, with heavy loss. The two commanders are wounded, and the two opposing Indian chiefs are killed. Baron Dieskay is captured by the English, who dress his wounds and earn his lifelong gratitude by their kindness. For his success at Fort George, Col. Johnson is made a baronet, with a grant of 5,000 pounds. The Great Expulsion begins. English Expulsion of the French Acadians -- who lived and intermarried with Nova Scotia and Cape Breton Miq'maks (many of whom were also taken). Forcibly loaded into ships and deposited randomly along the southern (now American) coasts, many (probably 1/3 to 1/2) died. Some are ancestors of the Cajuns of Louisiana, and a few made their ways back home. Acadians were idealists, hostile to King and Church authority, who lived in peace with the Miq'maks. Neither the French rulers nor the English wanted them. ↑ "Robert Gray". Encyclopædia Britannica. 2014. ↑ Mealing. S. R. (1987). "Biography - Powell, William Dummer". Dictionary of Canadian Biography. Retrieved 5 June 2015. This article is issued from Wikipedia - version of the 6/22/2015. The text is available under the Creative Commons Attribution/Share Alike but additional terms may apply for the media files.